This How-to/Explanation of building the classic chair seen above came about from a couple incidents. We were asked to fabricate a set of chairs for a local client. It was a short run of about 12 chairs that had to be produced relatively inexpensively. 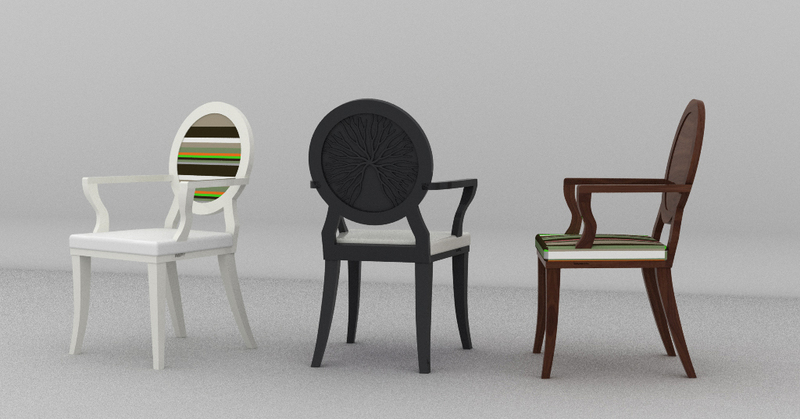 We took the chairs from recreating the design from a prototype, to finishing the final products. In the process we developed a system that could be executed like a full blown production run using our ShopBot CNC’s. Fundamentally we took a traditional chair that had been manufactured for many years in the same way and re-engineered it to be digitally fabricated. We also integrated modern materials like plywood to develop the core of the chair. That experiment become the foundation for a workshop that takes place in our studio integrating 10 years of digital experience (which you are all invited to join us for). Ilan Dei Studio uses mostly Rhino Modeling Software so in outlining the fabrication process we have created two video tutorials using rhino to explain the design of the chair. These videos give a brief description of how we modeled the chair at first taking into consideration the fabrication and production aspect of it. That being said we believe that the upcoming tutorial/how-to will be useful, insightful and hopefully inspiring to others out there who are interested in building furniture, or who have been doing so for years.